Flexing your assets on social media has become the millennial version of bragging. It’s basically a non-verbal way of saying look what I have without it actually coming out of your mouth. There are a few effective ways to flex with subtly. If you take a picture in front of a car but your caption doesn’t mention the car, it’s perceived that you want the attention to be on you and not the nice car behind you, even though that’s exactly what you want. Confused? Just keep reading to see what I mean. 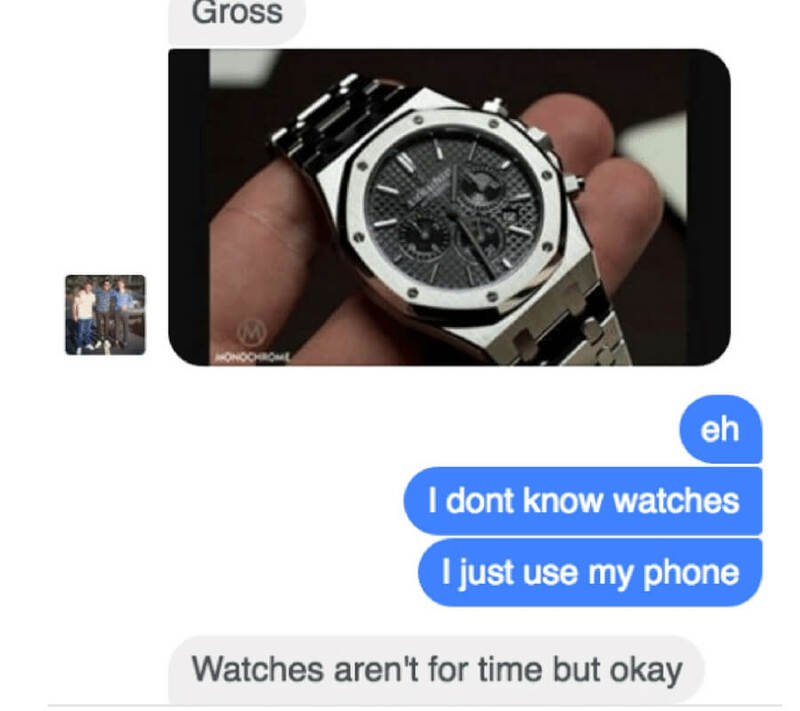 With basically every young person having a phone that tells time (among other things), there seems to be a dying demand for watches. People no longer want to have to read time on a clock anymore when they can get it in their pocket. Watches are becoming strictly a fashion product and not a practical one like they used to be.